W. E. Mashburn is an artist for all moods. He strives to impart a particular feeling into each of his works, be it a placid mountain stream or the thunderous majesty of the sea. 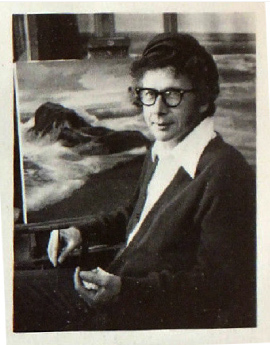 His travels during his years of service with the U. S. Navy allowed him the opportunity to view many shores and experience the ever changing moods of the sea. While pursuing his career, the artist has developed an unparalleled and signatory style. Mr. Mashburn’s persistant determination to achieve realism has led to a portrayal of distance as well as water depth that eludes even the above average artist. In order to authentically depict the era of the great sailing ships, it is not uncommon for Mr. Mashburn to spend months researching all aspects of life aboard the vessels of that period. W. E. Mashburn has shown selected paintings in the Santa Barbara Art Museum as well as exclusive galleries from Beverly Hills to San Francisco. Mr. Mashburn’s affinity with the sea has led him to select the central coast of California as his home and Pismo Beach as the location of his gallery.